Muffins are a weakness of mine. There’s nothing quite like the taste of a pillowy-soft muffin. 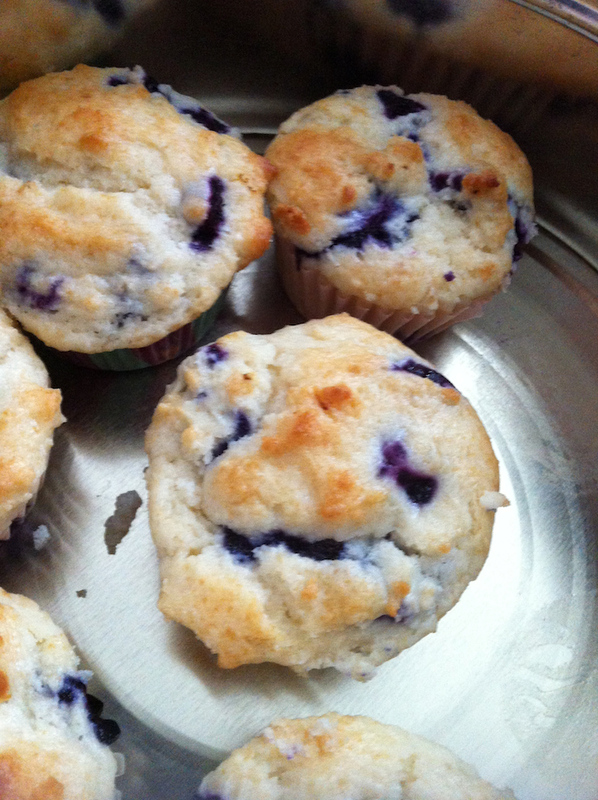 These blueberry muffins are packed with blueberries and are super tender. These are best eaten the day they’re made, but if you can’t eat them all in a day you can store them in an airtight container or freeze the remaining muffins for another day. The only thing I might do differently next time is to sprinkle the top of the muffins with a little sugar before baking them. Preheat oven to 350°F. Line a muffin tin with paper liners and set aside. Whisk the flour, baking powder and salt together, and set aside. In a large bowl, whisk the egg until well-mixed and light-colored, about 20 seconds. Add the sugar and whisk for another 30 seconds until thick. Add the melted butter in 2-3 additions, whisking well after each addition. Add the sour cream in two batches, whisking well after each addition. Add the berries to the flour mixture and toss to combine. Then fold the flour and berries into the wet ingredients until just combined, do not over mix. Scoop the batter into the prepared muffin tin. Sprinkle with sugar if desired. Bake for 25-30 minutes, or until golden and a toothpick inserted into the center comes out clean. Let cool on a wire rack for at least 5 minutes.